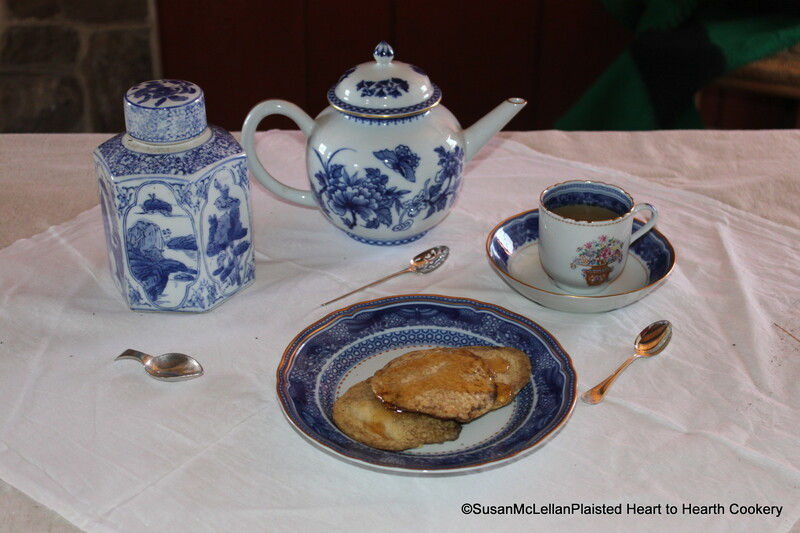 George Washington’s breakfast of three small mush cakes swimming in butter and honey has been served on a porcelain plate with a blue and white Fitzhugh border pattern. And George drank three cups of tea without cream. The finest green tea is in the blue and white porcelain tea caddy to be added to the pot with the tea caddy spoon. The mote spoon (in front of the tea pot) is ready to remove any floating tea leaves in the cup or unclog the tea spout.